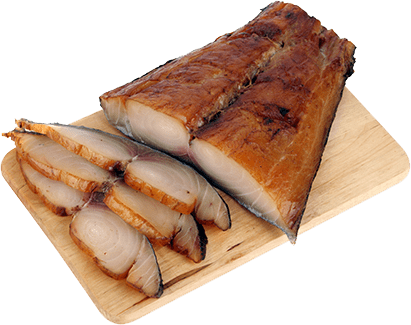 We supply smoke cured fish, including smoked salmon. All produce is smoked using the best methods retaining the natural flavour of the fish with the complement of the smoke taste. 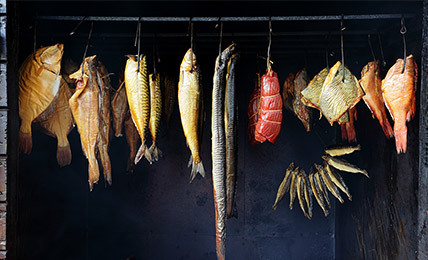 Smoked fish includes scottish salmon, trout, eel, mackerel, kippers, gravadalax, haddock, cod, halibut, and prawns. A van delivery service is available to restaurants, pubs, hotels, delicatessens, caterers and shops in Devon, Cornwall, Somerset and Avon.